Should you fit winter tyres? How about run-flats? 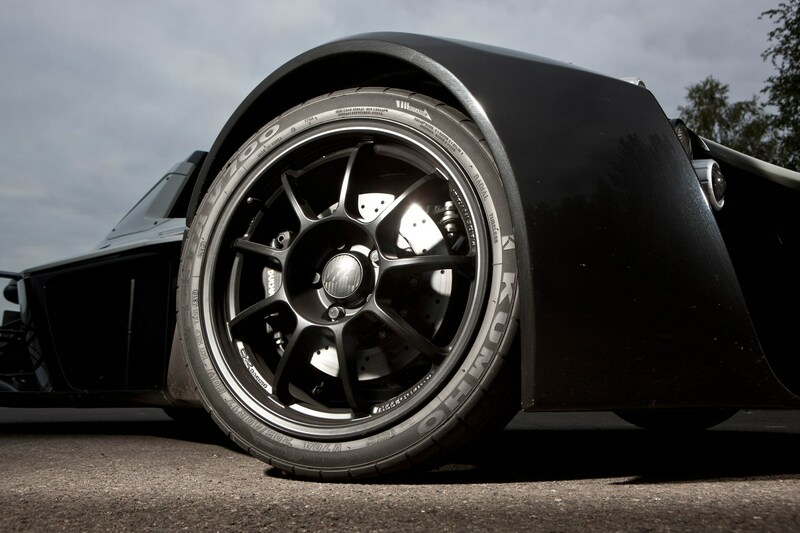 At Parkers we think tyres are the most important part of your car. The four rings of rubber wrapped around your wheels are the vehicle’s only connection with the road, and without them you wouldn’t be able to drive. There are many factors that govern what makes a good, safe and legal tyre. The latter point is doubly important because using illegal rubber can land you with a hefty fine and points on your driving licence. How long should tyres last? How does tyre sizing work? How do I check tread depth? Do I need a spare wheel or will an inflation kit do? However, it’s also about how much you’ve got to spend, and in many cases what type of car you’re driving. Tyre fitment can be vehicle specific, and picking the wrong ones could easily have a detrimental effect on your car’s handling. If in any doubt, check your servicing book to see which ones are recommended. Some budget tyres perform surprisingly well in certain circumstances at the expense of other qualities, for example having brilliant dry grip but loads of road noise, so to bring it all together there’s now an industry-recognised labelling system for all new tyres. The answer to this question involves sevral variables, since it depends not only on which tyres your car is using, but how you're driving, the condition of the roads you've used and how well you're looking after the tyres themselves. However, for general driving we'd expect you should be able to get 20,000 miles from a set of four without much fuss. Obviously that'll be far lower if you've got a supercar with expensive, sticky rubber, or an off-roader with chunky all-terrain tread. All tyres for road use in the UK come with a standardised set of numbers on them telling you their precise size. 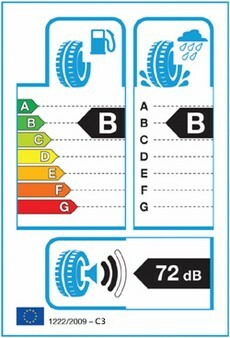 You’ll need this information in order to buy new tyres. It’s displayed in this format: 205/45 R17 91W. What’s the legal tyre tread depth limit in the UK? The current legal minimum tread depth is 1.6mm, but many industry safety bodies state that 3mm is the depth at which you should consider changing tyres. Below you can see a tyre worn to the wear indicators (1.6mm) on the left, and a new tyre on the right. 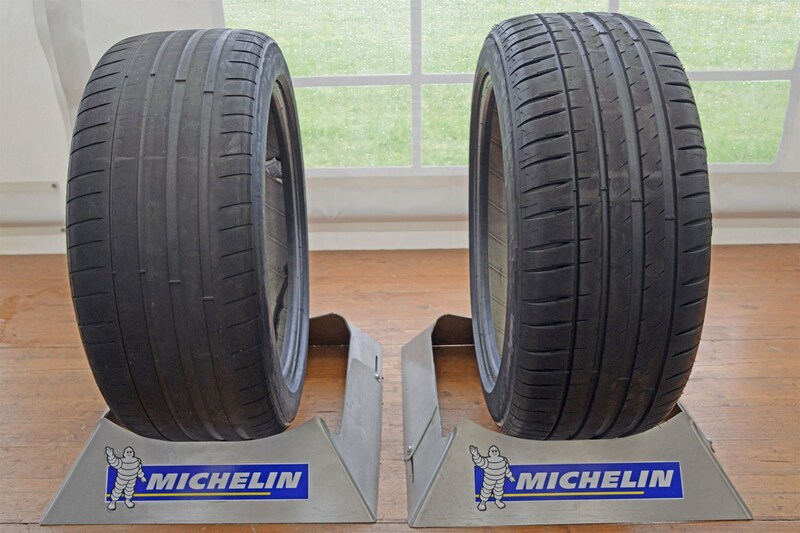 However, due to environmental concerns over the wastage of changing tyres at 3mm instead of 1.6mm – apparently equating to 400 million tyres per year globally – Michelin is arguing that if you’ve bought the correct tyres (i.e. Michelin ones…) they’ll perform almost as well in every sense at 1.6mm as a new budget tyre while actually causing the car to have better fuel economy. 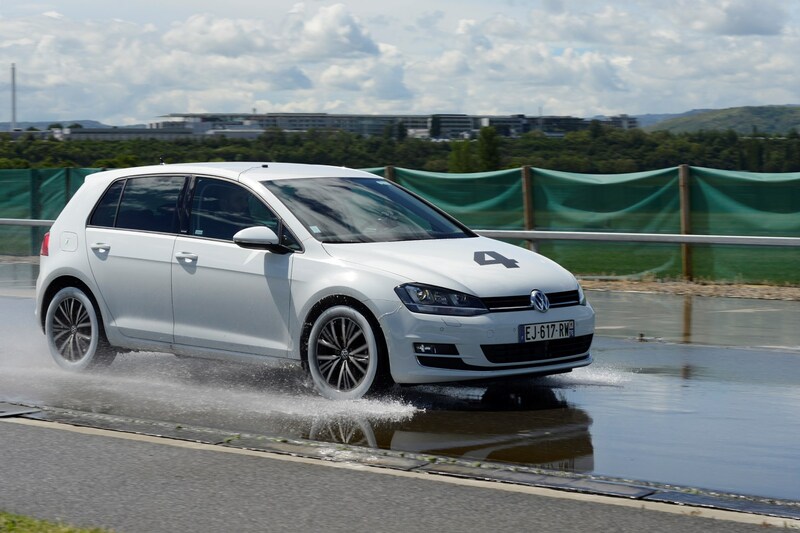 We tested a number of worn tyres - both premium and budget - in various low-traction situations (such as the wet braking test below). 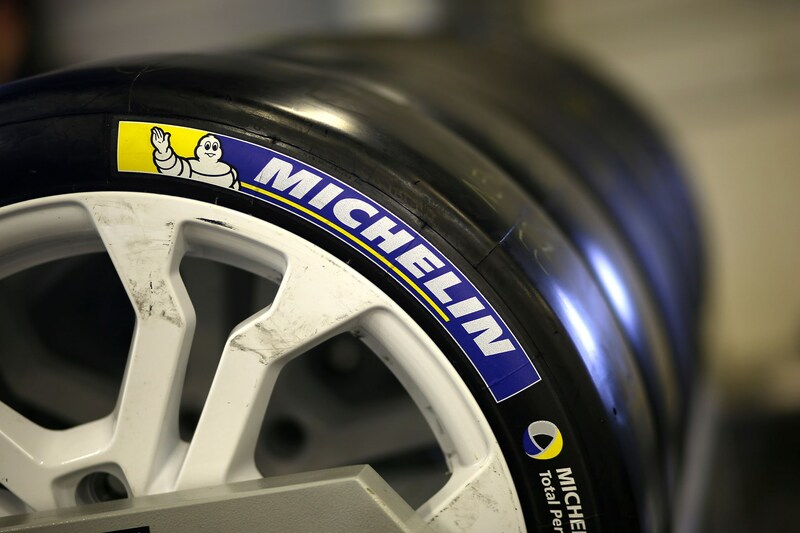 Apart from a fraction more aquaplaning upon initial braking, Michelin’s claims did seem to be accurate - for Michelin rubber at least. We’d caveat this by saying that in general, the lower the tread depth the worse the tyre will disperse water on the road. It might still be considered ‘safe’ under 3mm, but would you want to take that risk? The 20p test is a way to measure tyre tread depth. 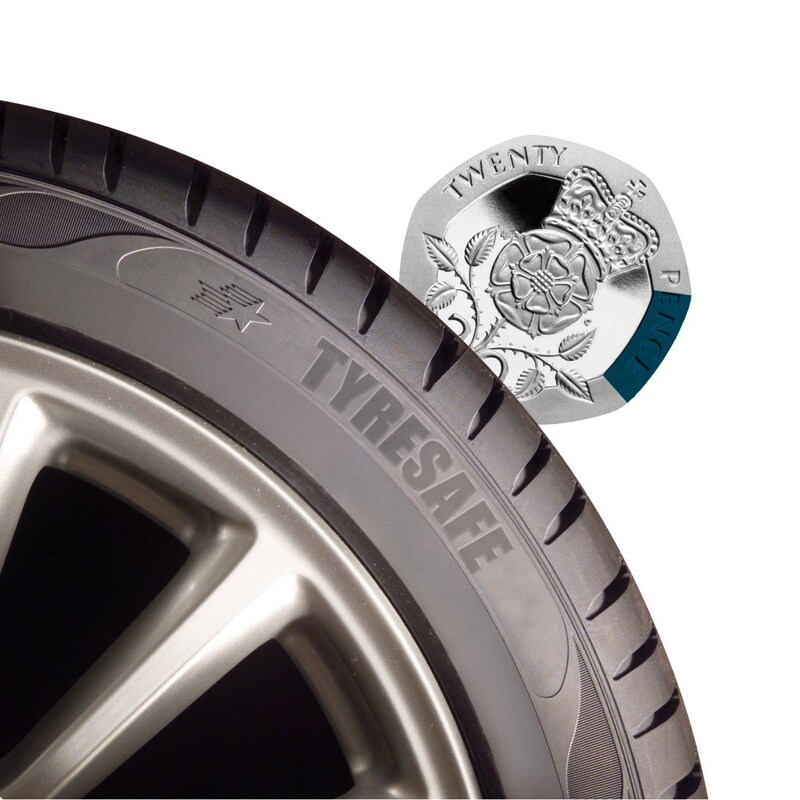 You simply use a 20p piece as above – or more precisely, the outer rim of the coin, which measures 2.7mm in diameter – and if you can see the bottom outer rim from side-on when inserted in the shallowest part of the tyre, then it’s a good idea to think about changing your tyres. 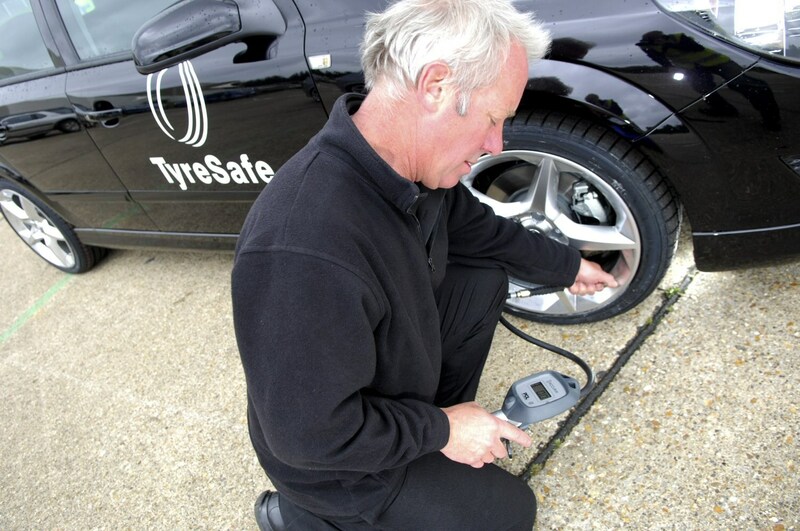 Alternative methods for checking your tyre tread depth include bespoke instruments built for the purpose, available at your local tyre fitter or parts outlet, or tread depth indicators installed into the rubber on the tyre itself. We recommend you check your tyre pressures and tread depths every month. Too little pressure and you'll use lots more fuel, while too much and the car's handling can be affected. You'll also notice a slow puncture before it beomes an issue. The first thing you need to know is what pressure the tyres should be set to. This will be covered in your car’s owner’s manual, and usually you’re given two figures – one for normal driving and one for high load situations such as towing or carrying the maximum amount of people possible. Once you’ve worked out how much you need to aim for, it’s time to visit the local petrol station or tyre fitters to adjust them. Simply remove the valve cap, push the fitting on the air machine on to the valve and read the pressure, adjusting until it reads the correct pressure in PSI (pounds per square inch) or Bar (barometric atmospheric pressure). Many cars nowadays also come with tyre pressure monitoring systems that alert the driver when the pressure drops below a certain threshold. While they can occasionally produce false alarms, we think that's better than finding out you've got a puncture at 70mph on the motorway. This depends heavily on when and where you need to use your car. 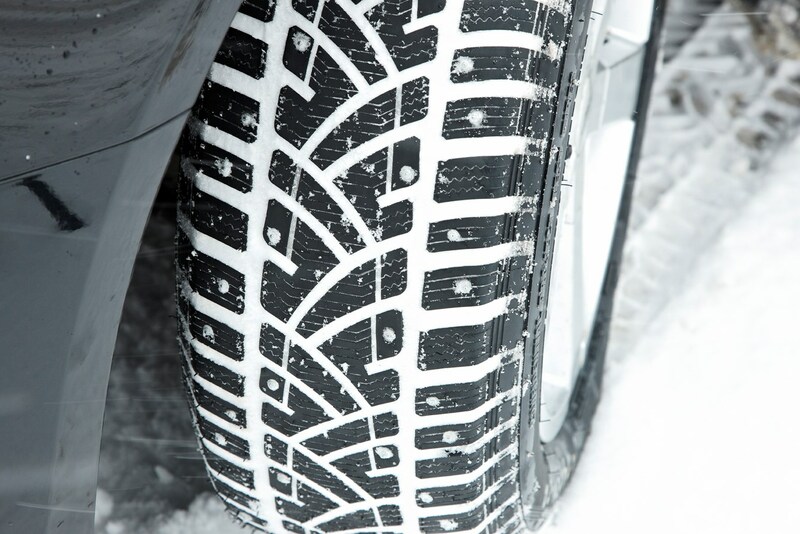 Winter tyres generally work best at temperatures below 7ºC, which we regularly get in the UK, but are at their best on snow and ice, which is a less frequent occurrence for most. Whether you take the plunge will depend on whether you think your individual circumstances warrant shelling out for an extra set of tyres. Do note, however, that you’ll need them to legally drive in many European countries at certain times of the year. This is a tyre with heavily reinforced sidewalls that allows you to drive on them (for a short distance at lower speeds) even when deflated. 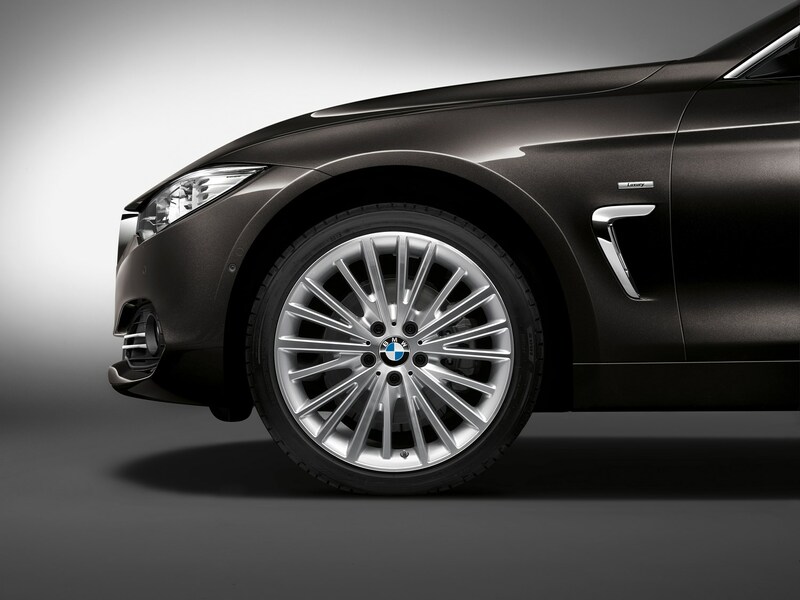 You'll find them fitted as standard on some new cars such as BMWs. You’ll need to ensure you change the damaged tyre at the first possible opportunity, however. Run-flat tyres are only a temporary get-you-to-the-tyre-fitter solution. Find out more in our guide to run-flat tyres. Do I need a spare wheel or will a puncture repair kit/tyre inflation kit do? These days, car companies very often sell cars with no spare wheel, instead providing an inflation kit. You place this on to the damaged tyre’s valve, and it usually fills the tyre with foam that seals up the hole sufficiently so you can get to your next destination. However, they won’t work for every sort of puncture – some larger holes and damage in awkward places on the tyre will prevent these systems from working. Conversely, a spare tyre weighs significantly more and that will have an effect on your fuel economy. As with winter tyres, this decision will rest heavily on your personal circumstances. If you do a lot of motorway or off-road driving and feel your chances of a puncture are high then we'd recommend a spare wheel. For normal everyday driving, a repair kit should suffice. 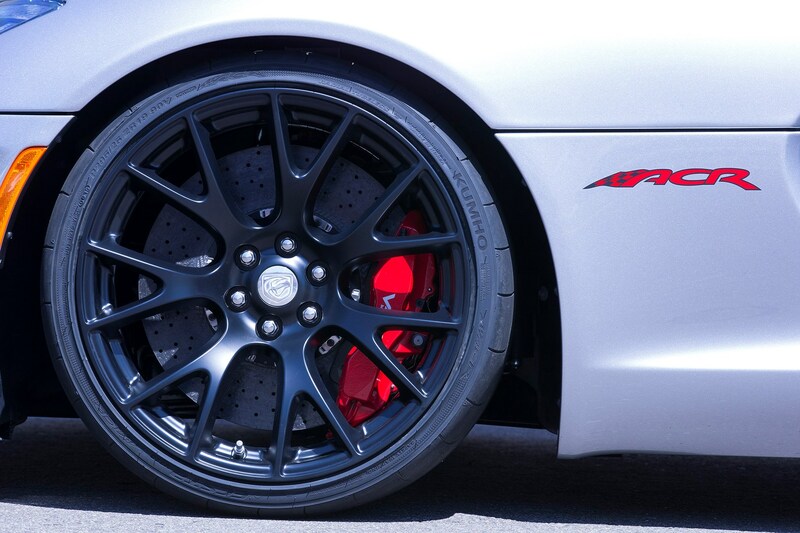 Our advice is to always buy the best tyres you can afford. It’s your only link with the road, after all.